As of late, the term “social media” has become standard in our cultural vocabulary. Social media describes the powerful new ways people and companies are engaging with content on the Internet. It is all about fostering interaction, discussion and community, allowing people to build relationships and share information. Today, social media is being pioneered by everyone from CEOs to school children. Through the use of social media, businesses have adopted new ways to reach consumers and markets. They can influence and promote by simply choosing to engage, causing influential brands to become more “human” due to their presence and engagement on social media sites. Most employers dislike when they see their employees wasting time on Twitter or chatting on Facebook. But, what if social media could facilitate your company’s projects? ‘Social Project Management’ (SPM) is a brand new approach to managing project teams that combines traditional project management techniques and social networking. Traditional project management focuses on planning in an organized way, but it leaves little room for unknown circumstances. 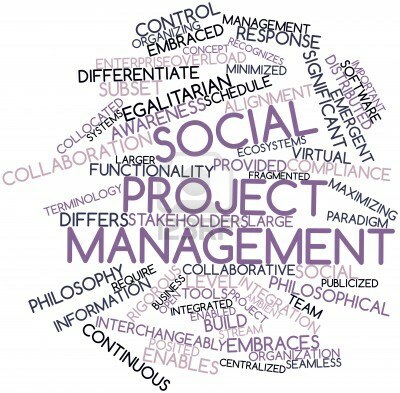 Social project management allows the lifecycle of a project to be dynamic so that the plans can easily be adapted to circumstances. This approach taps into people’s natural yearning to belong to interact with others. It turns the project into a temporary social structure, where the quality of collaboration will determine the quality of the project. While getting every team member of the project together for a status report meeting represents a nightmare for the project manager, social media tools make the work visible. The tools allow each team member to narrate what they are working as well as communicate with each other with just a click of a mouse. The social project manager can no longer operate as a hierarchical commander. Instead, they must use their role as a connector to create an efficient combination of skills and passion. 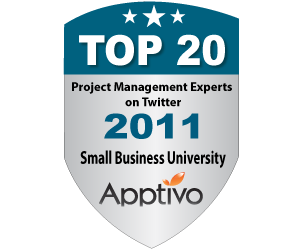 Your Social Media Project Scope Management: "Avoiding Scope Creep"